Little House was founded as a pipe dream that subsequently became reality in 2016. We are proud to be among Oregon’s first recreational cannabis edibles. Our mission is to normalize the use of recreational marijuana and our vision is to support a new kind of relaxation. Our hand-crafted products are made with love to ensure your experience is easy, safe and simple. 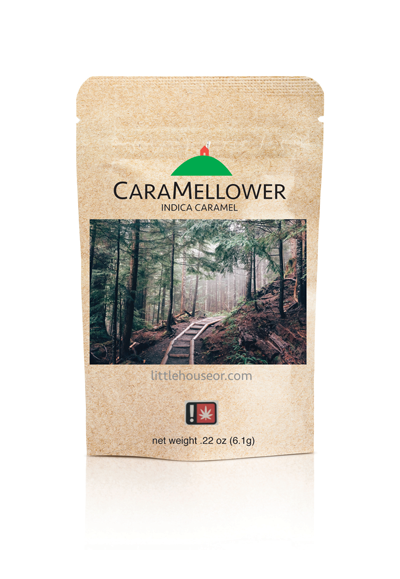 Balancing taste notes with the perfect cannabinoid blend, Little House products intend you the best start to your personal marijuana experience. Just like you don’t choose wine based on alcohol percentage, we know you want an edible that primarily tastes good and makes you feel good too. We start with high-quality cannabis and infuse a variety of fats and oil to create the best foundation for each product’s flavor profile. We test our products for taste, texture, intoxication experience and shelf-stability. We are constantly experimenting with new products and flavor families so we welcome feedback and suggestions. You do you, we help you get there.